Repeatedly articulate your EST ~ HELLO, my name is Blog! If you can do that, you’re truly unique. If you CAN’T do that, it doesn’t mean you’re NOT unique; but rather that you haven’t pinpointed your uniqueness YET. Because everyone possesses inherent uniqueness. SO, THE QUESTION IS: How can you excavate (and then leverage) your uniqueness in the service of others? 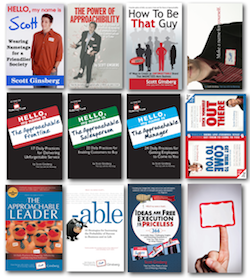 Identify (and repeatedly articulate) your EST. Yep. You heard me. EST. Know what that stands for? It’s not an acronym; it’s a SUFFIX. Awesomest. Biggest. Brainiest. Bravest. Bumpiest. Cheapest. Choppiest. Cleanest. Closest. Coldest. Craziest. Crudest. Darkest. Deadest. Dizziest. Earthiest. Fanciest. Fastest. Flakiest. Foamiest. Frailest. Funkiest. Funniest. Grossest. Gruesomest. Grumpiest. Gutsiest. Heaviest. Hottest. Jolliest. Juiciest. Knottiest. Laziest. Longest. Loosest. Luckiest. Meanest. Mushiest. Nastiest. Nuttiest. Oddest. Prettiest. Prickliest. Proudest. Puniest. Purest. Quaintest. Quietest. Rainiest. Rarest. Raspiest. Rattiest. Richest. Ripest. Roughest. Saltiest. Scariest. Scrawniest. Shaggiest. Shiniest. Shittiest. Shortest. Shrillest. Sillies. Slowest. Smallest. Sneakiest. Softest. Spiciest. Spiffiest. Spottiest. Squarest. Steadiest. Steepest. Stickiest. Stingiest. Straightest. Strangest. Strongest. Stupidest. Sturdiest. Swiftest. Teeniest. Tiniest. Toughest. Trickiest. Truest. Ugliest. Wackiest. Warmest. Weakest. Weariest. Wildest. Windiest. Essentially, EST is a stronger, more specific version of the superlative best. AND HERE’S THE GOOD NEWS: Customers can’t help but be attracted to that. Think about it. Which one of the following sentences is stronger, from a marketing standpoint? 1. Evil Dead 2 was scary as hell! 2. Evil Dead 2 was the scariest film I’ve seen all year! 1. I hear Lufthansa Airlines has really soft seats. 2. I hear Lufthansa Airlines has the softest seats in the world! 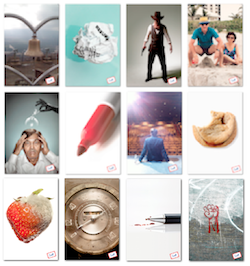 On the other hand, smart marketing also means NOT backing away from perceived negatives. Embracing the (potential) danger of your negative EST. 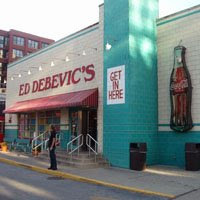 For example, Ed Debevick’s is world famous for having the RUDEST wait staff in the industry. Now, one would think that a business whose primary function is service … would cringe at such a label. So, that’s what they’ve become known for – being the rudest. And, sure enough, customers from around the country (myself included) dine there for that exact reason. To be treated like crap. Of course, Ed Debevick’s is in the extreme minority. VERY few companies can pull off that that kind of EST. 1. What’s the ONE THING your company does that nobody else can touch? 2. How could you reframe, repurpose or reposition that uniqueness in the form of an EST? 3. How many different ways could you leverage that EST in your marketing so you become KNOWN for it? REMEMBER: Everyone possesses inherent uniqueness. Your job is to repeatedly articulate yours. For the list called, "24 Questions to Discover Which Word You Own," send an email to me, and I'll send you the list for free! Only four coaching slots left in 2008.